Hi guys! Today I have Heather's Hues custom that she created for the Multichrome Madness Facebook Group! It's beautiful! It's super shifty! It also matches Heather's brand logo perfectly! Ha! Let's take a look! 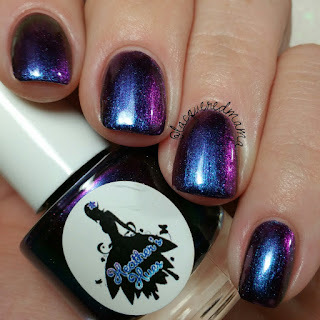 Shifty is Her Middle Name is a purple base multichrome that shifts from a deep blurple to violet and even a bit of a gold/green depending on the curvature of your nails. 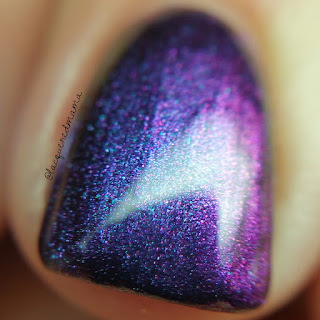 There's also a really pretty purple shimmer throughout! So so pretty! The formula is awesome too! 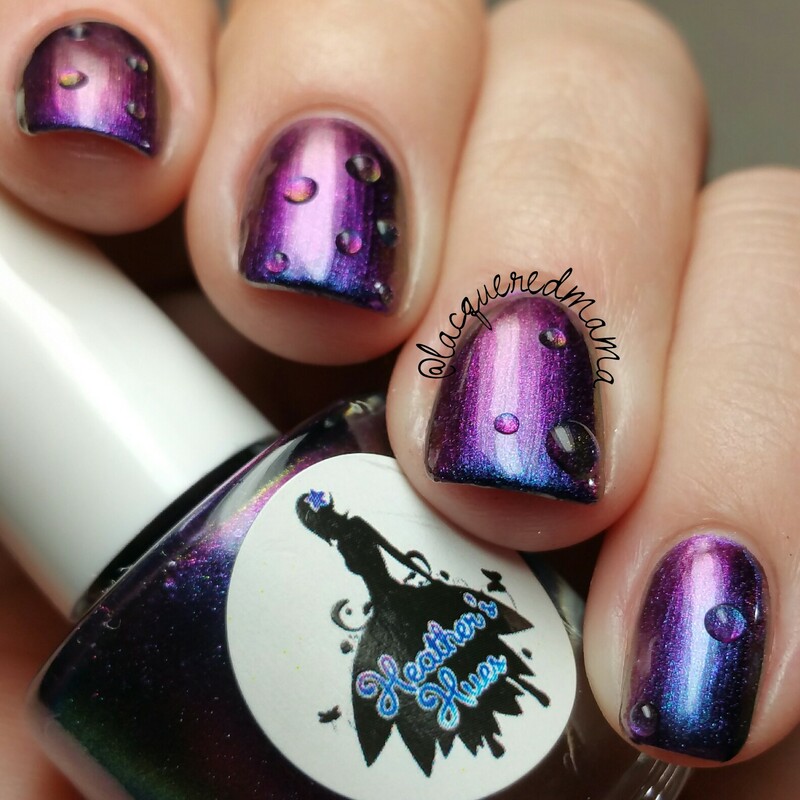 Heather makes really opaque multichromes and this baby is no different. Here I did just two thin coats plus topcoat! It's not super shiny on its own, but topcoat really helps. She's also really easy to remove. Do you see that freaking shift!?! 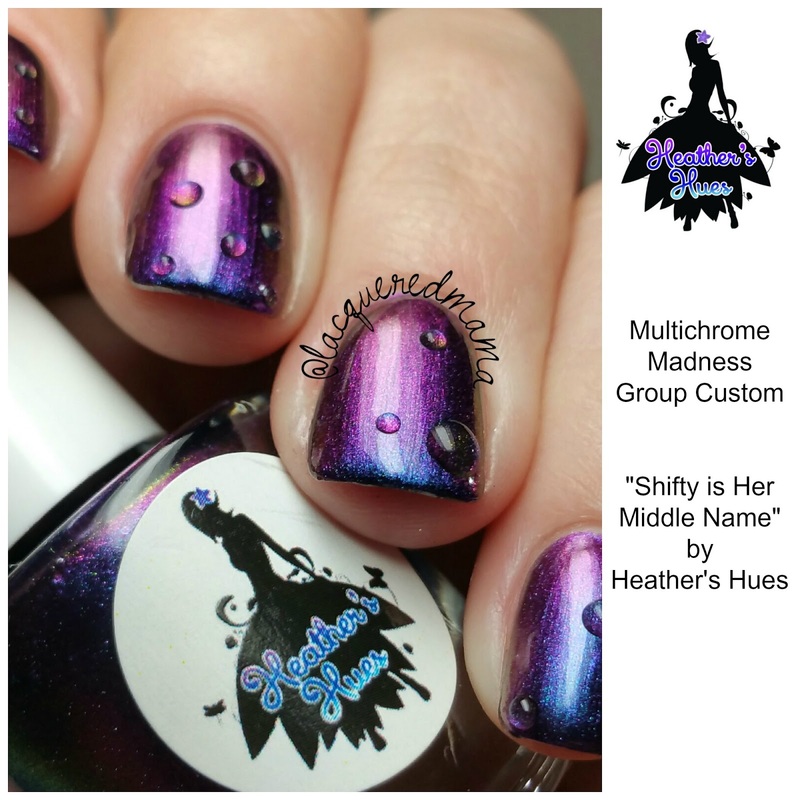 Shifty is Her Middle Name will be available for preorder November 16th at 9am EST through November 30th at 11:59pm EST in Heather's shop! Preorder will all be shipped out by December 14th (Likely sooner) Please remember that you must be a member of the Multichrome Madness Facebook Group to place an order! 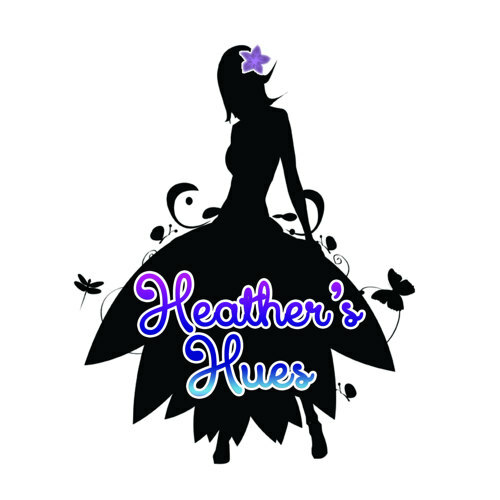 The price in Heather's shop will be listed as $60, so you will need the group custom code to lower the price to the correct $11.50. 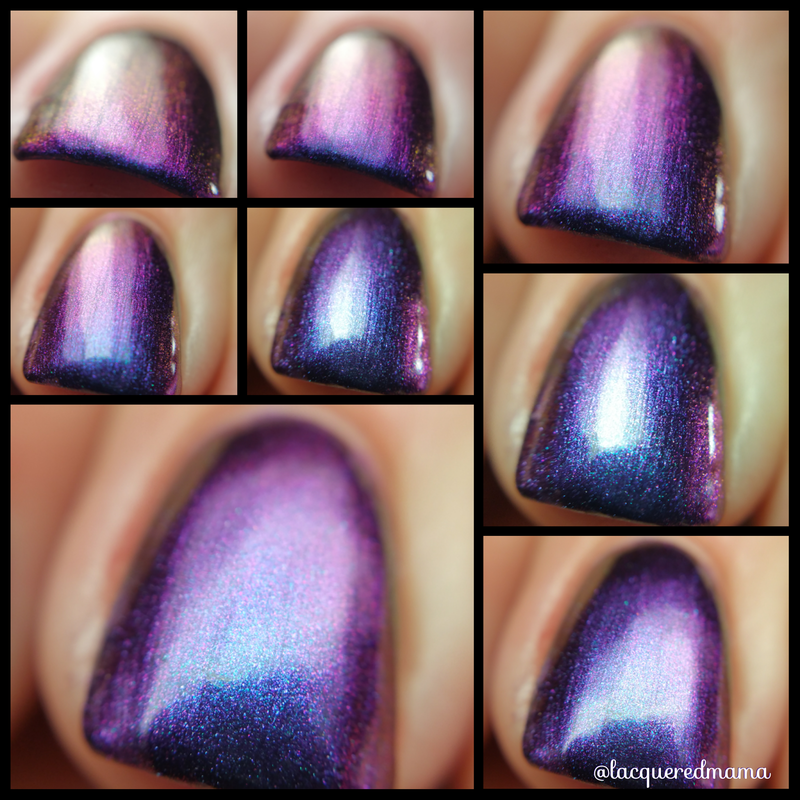 This code can be found within the Multichrome Madness FB Group. You can join HERE! I am speechless. This is absolutely stunning! You wear it so well!